In 1968, Absolute Technologies, Inc. planted its roots in Santa Fe Springs, California. It began as a small machine shop known as D&D Gear, which provided service repairs for Bell Helicopter. As the transportation community exponentially grew in demand and technology, we were there to meet the needs of our customers. Our ability to provide high precision products with quality and expedience has embedded our reputation in the machining industry. As our products evolved into a wider variety and larger scope, D&D Gear was renamed Absolute Technologies, Inc. The company moved into a facility in Yorba Linda, California in May of 1991, and resided there for over 20 years. 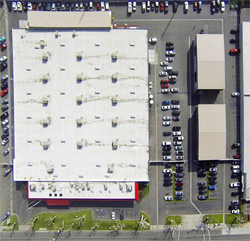 In 2013, ATI relocated to Anaheim, California, into a facility that allows us to further expand our capabilities and capacity, as well as grow alongside our customers.